If you like Brownies, you need this book. With 140 recipes guaranteed to make your mouth water, this book is a long-awaited treasure. 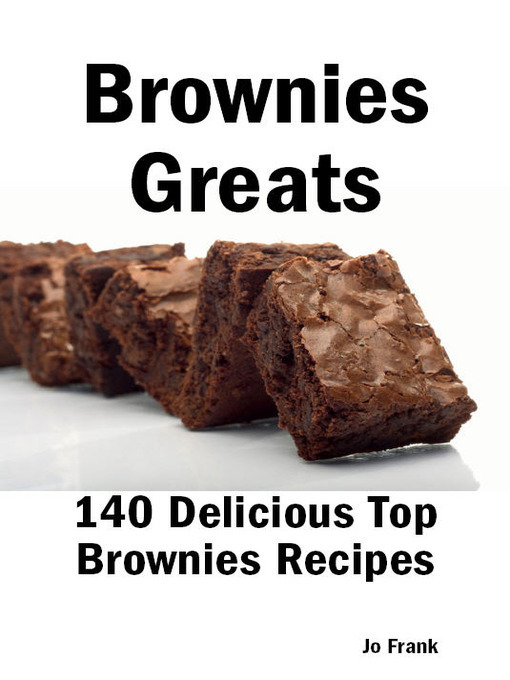 If you love Brownies then this recipe book is a must have. You'll love this book, the recipes are easy, the ingredients are easy to get and they don't take long to make. There is an excellent recipe for German Sweet Chocolate Cream Cheese Brownies, and a wonderful Steamed Brownie Pudding with Raspberry Sauce. My favorite Browniess are the sweetest ones like Disappearing Marshmallow Brownies. There is also a wonderful Chocolate Peanut Butter Brownies. There is also a really nice Fudgy Cheesecake Swirl Brownies which is very easy to make yourself. This book will also give you enough inspiration to experiment with different ingredients since you'll find the extensive index to be extremely helpful. The recipes are superb. Wonderfully easy to put together and you don't have to make or purchase a ton of condiments before you have a chance to play with them. These Browniess really stand out in this great book: Chez' Freddy's Alternative Brownies, Marbled Cream Cheese Brownies, Diamond Walnut Raspberry Brownies, Maple Butterscotch Brownies, Chocolate Cream Cheese Brownies, Crockpot Brownie Cakes in a Jar, Stephanie's Buttermilk Brownies, Suzy's Favorite Brownie Muffins, 7 Layer Brownie Ice Cream Cake and Raspberry Cream Brownie Wedges. Yummy!! Definitely great comfort food for All Seasons.